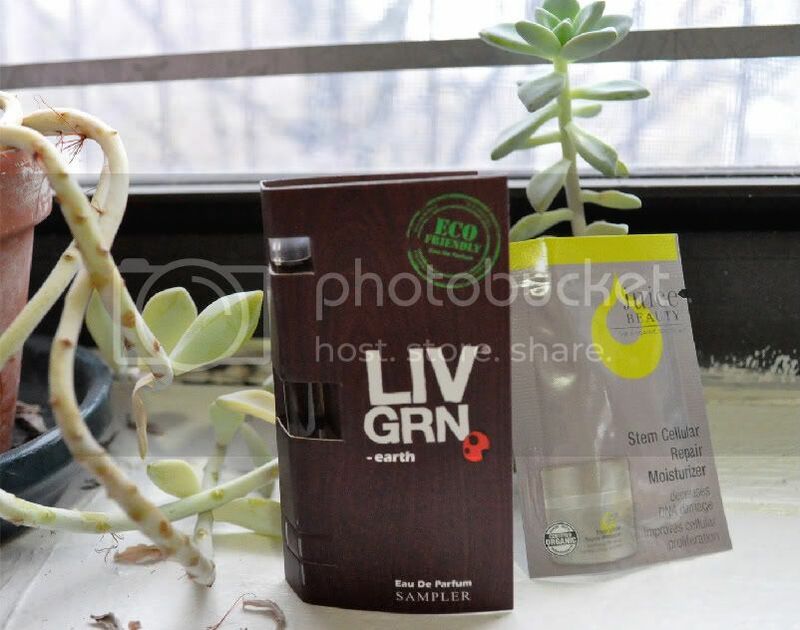 This month's Birchbox is all about saving the earth, one beauty product at a time. All of the goodies included are either organic, have no harsh, unnatural chemicals, or have all natural ingredients. I'm really excited about one of these products in particular - I'm definitely going to order the full size on the website! Click more info to find out what product I already love, and everything else in the amazing April box. 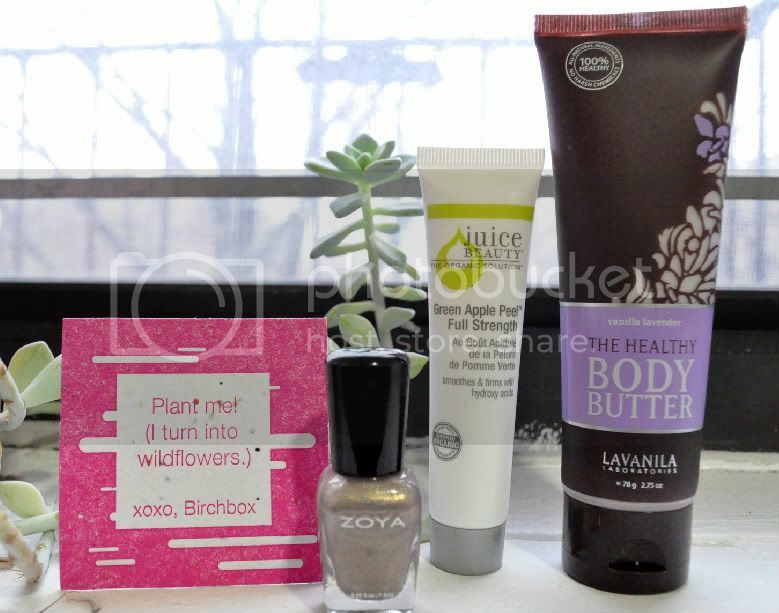 If you don't already know about Birchbox, check out my intro post. 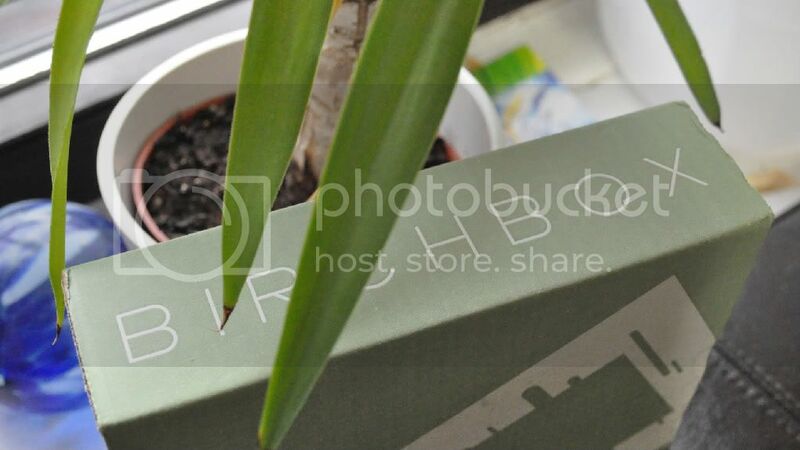 It's not only the products that are green, they came in a green box too! So cute. Ok girls, I've had a lot of issues with nail polish in the past. I can't stand it when they take an hour to dry and you have to use 3 coats to get a normal color. Well, the minute I swiped this on my nail I realized it's an amazing product. It went on opaque in one coat, and dried in literally 2 minutes, no joke. I can't wait to get more colors! Screw OPI & Essie, I'm a Zoya convert! Can't wait to use this to get rid of my gross winter skin and ring in the spring! This smells heavenly. I haven't tried it yet, but I really like the fact that it's not tested on animals and has no weird chemicals like so many other lotions. Honestly, I'm not really into the scent of this perfume. It's really earthy, and I usually go for a different kind of scent. As I work in the field of science, I'm always skeptical to claims that creams can "decrease DNA damage and improve cell proliferation" like this one does. But on the other hand, I'm always up for trying a new moisturizer as I have dry skin year round. To sign up for Birchbox, click here.